England line-up at last FIFA WWC Qualifier in November, 2017. England Women head coach Phil Neville has named his first squad with the selection for the SheBelieves Cup in the United States next month and it includes a notable recall for Chelsea’s Anita Asante. 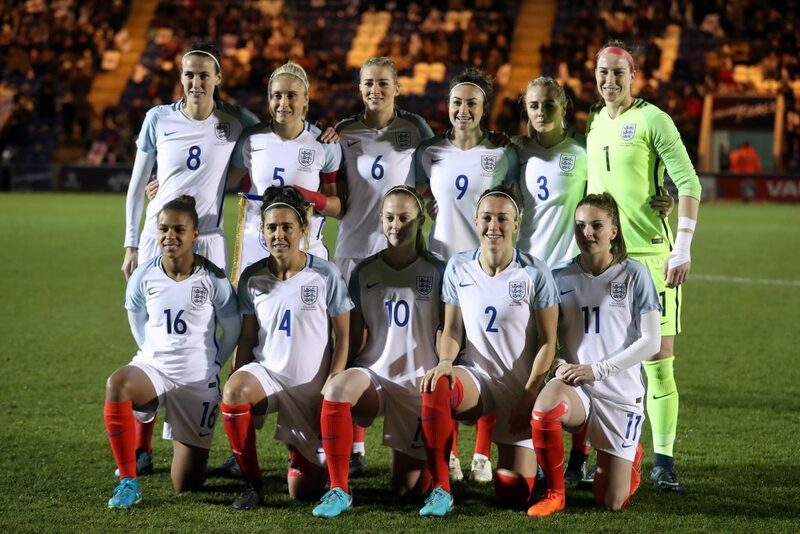 The 23-player squad, led by captain Steph Houghton, will meet up this weekend in London before travelling to the US for the prestigious four-team tournament involving the host nation, France and Germany in early March. All three matches will be broadcast live on television by BBC Sport. 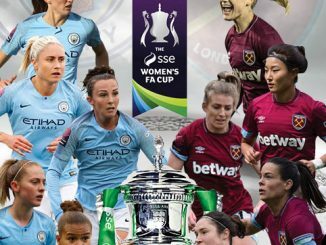 England’s third participation in the annual competition will be important preparation for the resumption of 2019 FIFA Women’s World Cup qualifying with the visit of Wales to Southampton on Friday 6th April before a trip to Bosnia-Herzegovina four days later. 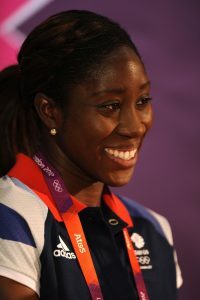 Anita Asante was a regular fixture in squads for England and also for Team GB, under Hope Powell. In terms of the squad, there is a recall for Chelsea defender Anita Asante for the first time since 2015 while club-mate Hannah Blundell has the chance of her first cap. Everton’s Gabby George, another uncapped player, is also included having previously been in the squad for last November’s qualifiers. The group will be joined by Arsenal’s Leah Williamson, who is travelling to the US as part of her continued development around the England set-up but will not be able to play in the three fixtures. 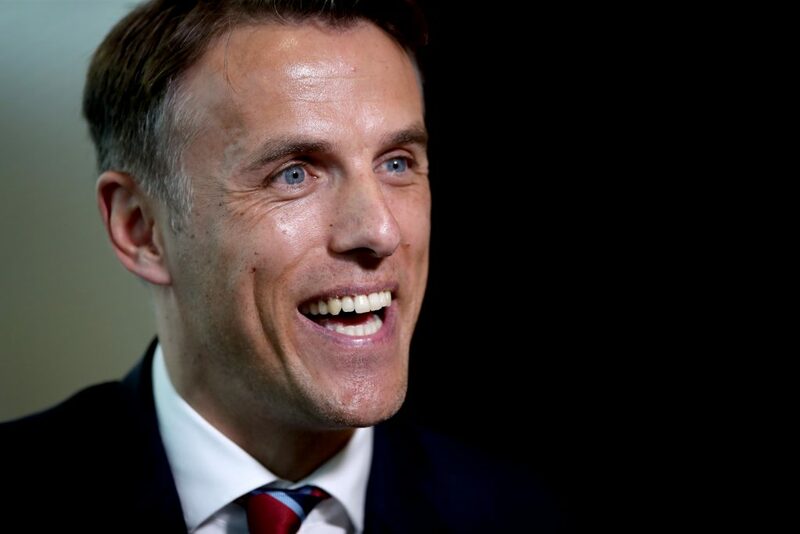 Phil Neville said: “I have been really impressed by what I have seen in the past few weeks. Some exciting young players have caught my eye, and not just those that have been picked for this squad. They will get an opportunity in the coming months to challenge the established players who, of course, deserve big respect for what they have done to take this team to third in the world. Neville, who was appointed on Tuesday 23 January, will be assisted on an interim basis for this tournament by Mo Marley with a permanent No2 unlikely to be appointed before the summer. Interim England manager Mo Marley during a training session at St Georges’ Park, Burton. 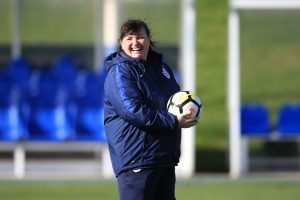 Marley will continue to help the transition after her temporary spell in charge from last September through to the La Manga training camp in January. Former England captain Casey Stoney, having retired from playing this week after making 130 appearances for the Lionesses, will also be part of the backroom staff via the new player-to-coach scheme, with Mark Mason as goalkeeping coach. Neville added: “I am really happy Mo has agreed to join this trip, especially given the great work she did in La Manga. Her input will be invaluable to me and to Casey, who is embarking on the first steps of her new career after retiring as a player. 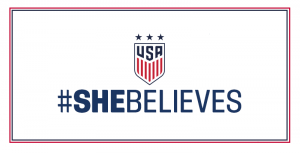 England will depart for the SheBelieves Cup this Sunday [25 February]. The first match will be against France [Thursday 1 March] in Columbus, Ohio, before games against Germany [Sunday 4 March] and the US [Wednesday 7 March] in Harrison, New Jersey and Orlando, Florida respectively. The tournament will be followed by the World Cup qualifier against Wales in Southampton on 6 April. Tickets for the Wales match are already on sale. Children and concessions tickets are just £1 and group booking and Charter Standard discounts apply. Tickets can be purchased at www.TheFA.com/Tickets or by calling 02381 780 780.